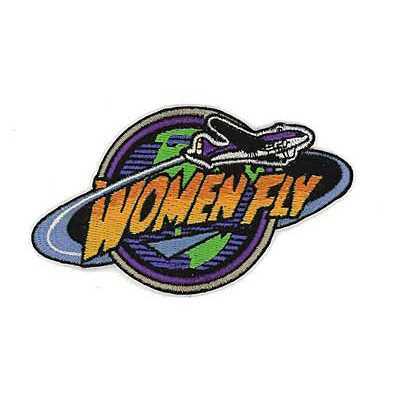 Our custom women patches are ideal for women associations of all kinds. Whether you use your patches for branding, identification, marketing, awards, or awareness, we can help. At American Patch, we create beautiful patches using the finest materials available. We offer embroidered, woven, or dye sublimated patches for you to choose from. No matter which style you prefer, you can count on your women patches to be bold and unique. And with a variety of backings, we can make patch application easy. Choose from iron-on, sew-on, hook & loop, and more to help you wear your patches proudly. At American Patch, we offer hundreds of twill and thread colors to bring your image or logo to life. Once you submit your artwork, we’ll get to work right away on a unique patch. We’ll send you a patch sample for approval. After that, you’ll receive your patches as soon as possible. Our women patches are perfect for anyone and any purpose!